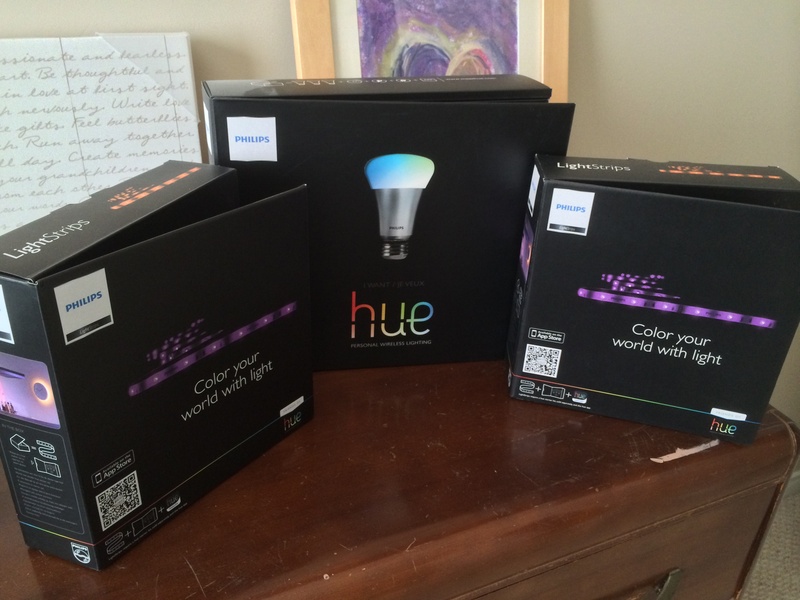 Philips Hue – An easy way to get into home automation. Back in the spring of 2012 a brand new type of product was introduced. It was called Lifx, an LED light bulb that could be completely controlled by your smart phone. As a lighting enthusiast (if that’s even possible?) this product completely blew me away the moment I saw it. I was all ready to make a pledge to help fund it until I saw the price. 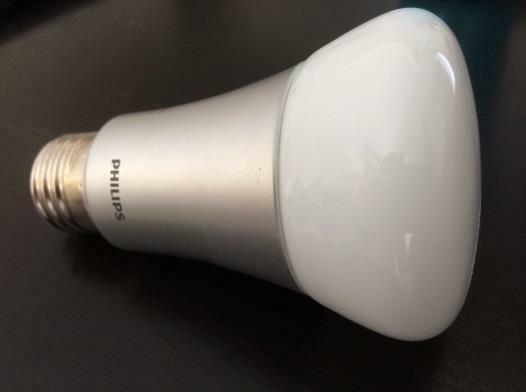 At over $60 for one bulb, I thought to myself “Are they insane?” Not because I didn’t feel it was worth it, but because I hadn’t been adjusted to the idea of light bulbs costing that much money. 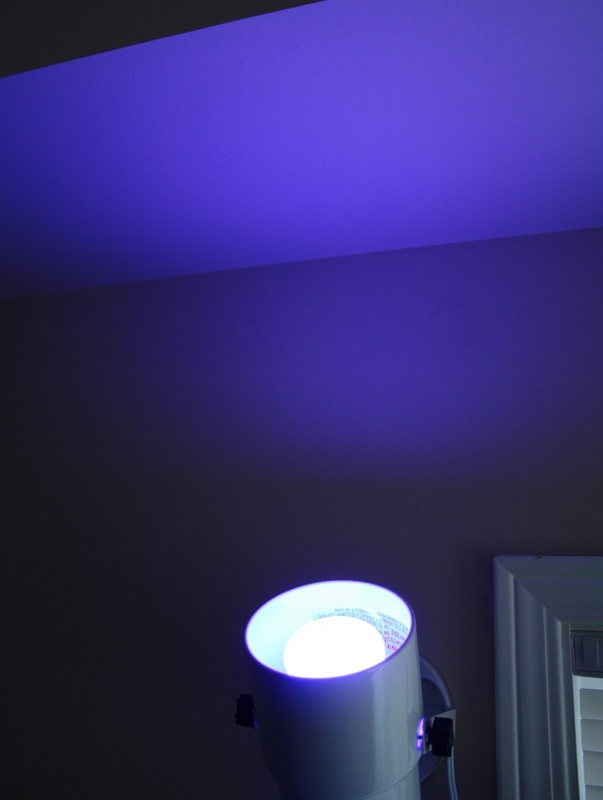 After a few months near the end of October, Philips introduced the Hue light system. They were being sold exclusively at Apple retail stores in a starter kit package for $199. I wanted to get it but couldn’t put out the money at the time, and ended up getting it for Christmas. After just over a year now, I’ve expanded with two of the Light Strips and plan to get the Bloom very soon. The concept is simple. Using the included bridge (pictured right), the 3 bulbs can be placed in any light fixture within about 25-30 meters. The device you use to control them must be connected to the same Wi-Fi network, and for cellular capable devices you can register an account and control the lights remotely. The bridge connects to a network router via Ethernet (no wireless option), and also has a power cable. Pairing the lights is very seamless and done automatically. 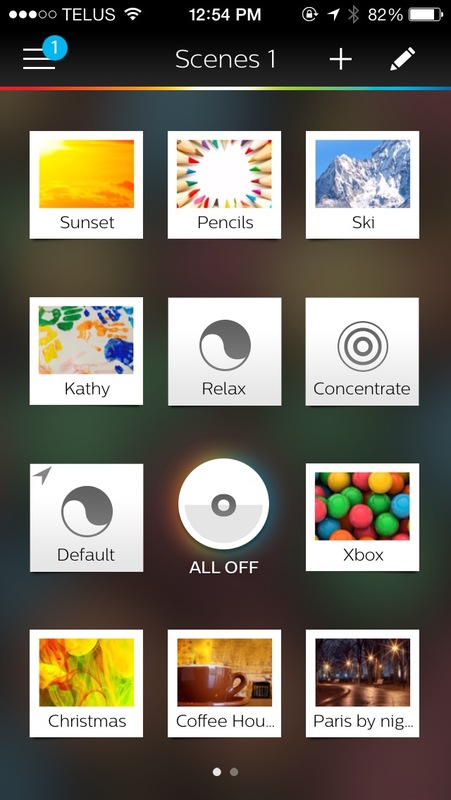 Philips offers a free Hue app for iOS and Android devices, and has launched a separate SDK and API for developers to integrate control and functionality into their own apps. I didn’t want to spend too much time on set up because it’s very easy. I would rather explain the benefit and go into detail about how it’s integrated into my lifestyle, and the way my rooms are designed and laid out. Create a style that fits your personality. The stock iOS app comes with built-in pre-sets (with more being available online), so I wanted to place them in a way that the designs would blend together. By being able to create your own scenes with each light having its own colour and brightness level you can really bring a room to life. The main screen is pictured on the left, and the scene builder is on the right. Half of the scenes in the list are built-in, some are made from scratch by me and the two at the end were obtained through the Philips Hue community. 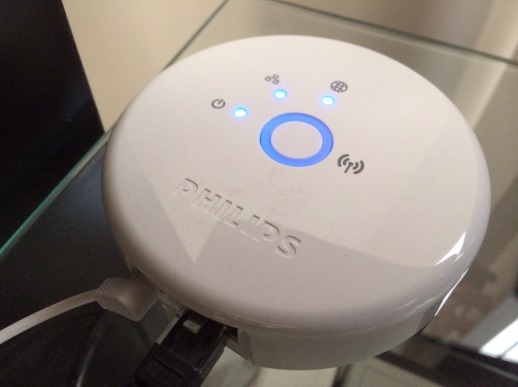 One of the incredible features Philips offers is geofencing for scenes. During editing, you’re able to set up a geofenced location and actions that are triggered along with it. With that ‘Default’ scene, I’ve set up just my main lights to turn on and off when my phone leaves the geofence (my house). You can enable or disable the geofence by double tapping it. The scene designer is very intuitive and it really doesn’t take very long until you’re creating amazing mixtures of light. Some of the key functionality in the designer is the options you’re given along the bottom. 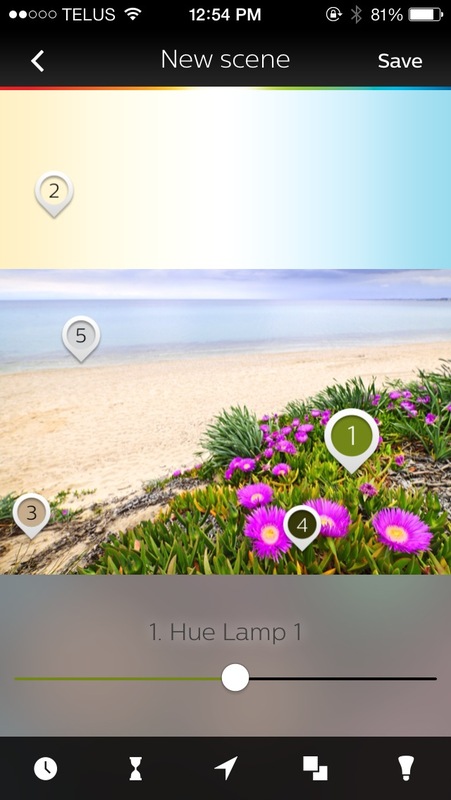 You have scheduling, timers, location, import image and light selector. Each bridge can hold up to 50 separate bulbs. One important thing to note is that the actual bulbs can produce any type of light, from incandescent to fluorescent and millions of different colour patterns whereas the Light Strips and Bloom can only produce colours. I was able to get a nice white light as well as a soothing orange candlelight glow from the Light Strips so it’s not that big of a concern to me personally. Customization that will light up your day. The use of timers and schedules are what really set it apart. You can make a scene that has a timer of 1 hour, and gradually fade out. Scheduling lets you fade in the lights at a certain time, and can even take certain durations of time to fully light up. If you live in an environment where natural light is scarce then this can literally simulate a sunrise if placed right. For security, you can make scenes with only certain bulbs that turn on and off at points throughout the day, which is nice peace of mind if you’re away and don’t want to use a static light timer that turns all your lights on for a set time, at the same time each day. Some extra features and capabilities include the use of 3rd party apps. The one I bought is called Hue Party. Initially it’s free and you have access to all the functionality but you’re limited to 2 bulbs. There is an in-app purchase option at $2.99 that gives you unlimited bulb support. It uses the microphone to strobe to the music, and also has a tempo selector to set it manually. You can also set the minimum and maximum brightness levels it ranges from as well as colour boundaries. The two newer features that have been added to the app recently are a real strobe mode and a candlelight mode where it flickers a very light orange colour. It’s by far the best app I’ve seen on the store for this purpose, and it’s become my party trick for when I have guests over or when I’m playing music and want to change the mood up. I also have my iPhone jail broken, and have access to a tweak called HueHueHue (Cydia Link) that allows you to set a specific trigger using Activator to turn on and off the lights. My trigger is hitting both volume buttons, so when pressed it turns on (or off) the lights. Perfect for when I’m walking up to my door at night and want a little extra light on the walkway without needing to pull out my phone, unlock it, open the app and activate a scene. A group of students have also been able to integrate functionality into the Pebble Smartwatch using Huebble. There are very few products that have really impressed me, and continue to impress me over a year after owning them. Even with the cost, the lifespan of the bulbs and the energy consumption saved make up the investment in the long run.